That’s how this story would be pitched, and certainly how it’s being sold to fans at the moment. This is Sony admitting that the show went off the rails in its fourth season and reaching out to the creator whose voice was so pivotal to the series’ success. With Chevy Chase out of the way, one of the more public barriers to Harmon’s involvement is gone, and so how the family can be reunited to give fans the fifth—and almost certainly final—season they deserve. It’s a great story, certainly, but it’s also a way to cover up what is ultimately a pragmatic, professional decision for both parties should it come to pass. For Sony, there’s very little logic that says they should prioritize the quality of Community. As it advances toward syndication—it will close with an affiliate-friendly 97 episodes—the actual quality of the episodes is no longer of paramount concern by traditional logics. All signs point toward Sony striking a deal with NBC to cover a larger than average percentage of production costs—especially for a fifth season—in order to keep the show alive and generate more episodes, and so there is even greater incentive to keep production costs down. As a result, the idea of bringing back someone who achieved great success critically while consistently running overbudget and over schedule feels—on the surface—to be enormously counter-intuitive. Edit: As you can see in the comments below, some have pointed out that Harmon never actually came in overbudget on an entire season the quite common structure of pattern budgeting (which is the reason you occasionally have to make bottle episodes to make up for overages elsewhere). While true, for studios and networks the show’s very public and continual pattern of lavish concept episodes meant they were constantly fretting whether or not they would be able to pull it off; even if Harmon never went overbudget on an entire season, the threat was enough to tarnish his relationship with the studio and result in this pervasive narrative of his time working on the series. It’s not about the facts, in other words, but about how this uncertainty creates an atmosphere where Harmon is considered a liability for giving them more gray hairs than necessary. In thinking it through, though, the decision would reflect a change in the logic of syndication in an era of digital distribution and other ancillary markets outside of the traditional “We’re going to sell this package of episodes to local affiliates to fill their schedules.” The logic would be that if Community‘s final season brings fans back to the show, even if it doesn’t actually result in considerably more viewers or increased advertising revenue, it creates the potential for those fans to remain “fans” of the show in ways that would lead them to buy a Complete Series DVD set or subscribe to a streaming service with exclusive access to all seasons of Community. If there’s one thing Community lost in its fourth season it wasn’t necessarily viewers or ratings—at least any more than NBC’s other Thursday night comedies—but rather the all-important and unquantifiable cultural capital. That’s the one thing Harmon could offer that would make it worth the risk for Sony, and if they are able to nail down clearer terms and stronger protections against overages, it’s possible that Harmon could be reined in and the studio could get both the episodes it wants to profit on and a promotional boost with critics and fans alike. The question is under what circumstances does Dan Harmon actually want to return to Community? While Harmon never went so far as to burn his bridges—he publicly said he deserved to be fired, essentially, which is an unorthodox but honest way to leave that door open—he’s also worked to disassociate himself from the series as it continued without him. Although Harmon hasn’t moved on to any specific projects that would preclude his return to Community (his animated Adult Swim cartoon isn’t a huge time commitment at this point), there’s some part of me who read this news and wondered why he would want to return to something that he seemed to want to put behind him. It’s certainly possible he has stories to tell, and regrets what happened, and one could idealistically believe he wants to give the fans a proper conclusion to a series that has been a big part of his life and theirs. However, at the same time, it seems possible to me that Dan Harmon wants to prove he can be a team player. Given how much Harmon’s auteurism was lauded during Community‘s run, you would have thought that he would have tossed his hat into the ring for pilot season (Edit: Which the comments suggest he has, without any success), or gotten an overall deal with a studio. And while it’s possible he was offered such a thing and turned it down, it also seems very possible to me that other studios got cold feet based on the stories they heard—and in some cases the stories he himself told—about his struggles working within the system of network television production. While it seemed like public knowledge that Chevy Chase was difficult to work with, relieving Harmon of some of the blame from that particular conflict, nothing Sony was expecting of Harmon seemed unreasonable or outside of the norm. And if you’re another studio thinking about working with Harmon in the future, do you really want another Community from the production side, especially given that Harmon’s creative slant tends toward the niche as opposed to the broad audiences broadcast networks are often looking for? If Sony’s logic is driven by cultural capital, then, Harmon’s is driven by professional capital in an industry where his creativity is only valued in balance with his ability to manage a show effectively. And so I think anyone who reads this report and imagines a scenario where Sony lets Harmon have the same freedoms he had before and the show goes back to its original production culture is likely going to be disappointed with the hypothetical result. If Sony gets back in bed with Dan Harmon, it will be under a carefully outlined agreement that things will be different this time, because it wouldn’t make any sense for them otherwise; if Dan Harmon gets back into bed with Sony, meanwhile, it would be a chance not to fall back into old patterns but to show that he can still be creative within the limitations of budgets and shooting schedules, which may not result in the same kind of ambitious show Community aimed to be in its early season. I would be interested to see Harmon working within these limitations, and I will admit that my interest in Community‘s fifth season—which I’ll watch either way, having never entirely turned against the show during its uneven but inoffensive fourth season—would increase should this relationship be rekindled. I just think that it’s important to consider not simply the promise of returning to the status quo, but rather how that status quo would need to change for this reported possibility to make sense to either party involved. Harmon goes into great detail about a lot of the things you are guessing at here in his Harmontown podcast. (It’s also just hilariously funny.) He has three pilots in the works, counting the Adult Swim animated thing. I didn’t read it as rude at all – I admittedly don’t listen to Harmontown because my level of tolerance for Dan Harmon: Personality is somewhat limited, so I’m happy for the information. More on this below. Fair enough! He’s definitely not for everybody. And, yeah, it looks like the folks down below were paying more attention than I was. Sadly (maybe), the CBS and FOX pilots did not get picked up. Or at least haven’t yet, making it seem unlikely. You’re probably right. But regardless of the intentions Harmon has now, and even if he promises in writing to behave, It will probably be like that for the first two weeks and then Harmon’s obsesiveness and writer instinct will almost surely kick in. Let’s not forget this was a guy obsessed with quality and fans response that used to go over schedule when he deemed the episode was not ready. 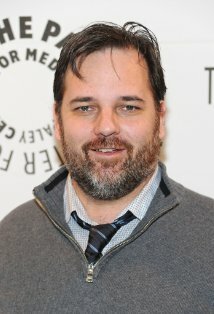 Dan Harmon has both a CBS deal and a FOX deal as of a year ago. The CBS deal fell through because the pilot script was predicated upon getting a major star to play the lead, which didn’t work out, but Les Moonves loved the script. The FOX deal is still in play and he mentions on the podcast that he is still writing it. So this isn’t an issue of him trying to prove to other networks he can play ball. They’re already interested. Thanks – I hadn’t realized that, and I’ve edited to reflect the pilots’ existence. At the same time, I think the story you tell proves my point: whereas someone like Kyle Killen has been consistently embraced by studios despite successive failures at FOX and NBC based on the strength of his creative voice, Harmon’s creativity is predicated on star power. He’s certainly trying to prove he can play ball, but that the networks are being cautious is a sign that there are other concerns at play. For me, the fact that he didn’t garner an overall deal was an early sign that there were reservations—that doesn’t mean he’s been blacklisted, but it means there’s a wall standing between him and the most lucrative of industry positions (the overall deal which allows you to develop projects while getting paid to do so). Well in the case of the CBS deal, it sounded like the whole show was specifically about ONE particular person’s story. So either that person would play the lead and the show would work or there would be no show. Sounded to me like some type of show about an aging actor or something. Either way though – he had deals with FOX and CBS and meetings with FX less within one month of getting fired last May. I really don’t think the rest of the networks care that he had issues at NBC. The thing about Harmon going over budget has been blown out of proportion. The individual episodes within each of his seasons had varied budgets, and those that went over were offset by many others that went under. He never went over budget for an entire season, and that’s what matters. That varied approach is what allowed some of the show’s best “pulling out the stops” moments, such as the claymation and paintball episodes. It was like getting a surprise “sweeps week” show when you least expected it. This is absolutely true – it’s not like Harmon cost them millions of dollars or something when you consider each season as a clear entity. However, the fact is that the narrative about Harmon—the talk, as it were—has latched onto the excessive spending on individual episodes as part of his professional identity, to the point where it’s done its damage regardless of whether or not it’s true. The other problem is that, while the money may have eventually balanced out, that kind of spending pattern makes networks/studios incredibly nervous. What happens if you have to shut down production due to blackouts? Or what happens if an actor gets injured? Uncertainty is anxiety is frustration for those who produce television, and Harmon’s track record creates more uncertainty than your average producer. Even if everything balances out in the end, the anxiety that uncertainty creates can nonetheless tarnish a relationship.